2000 rpm is in the drone rpm range for V8s assuming your system has a crossover. (100-150 hz) Build and attach one or more suppression resonators. Thanks, Paul. That's a very informative chart you posted. Just trying to figure this all out as to practical application with respect to my present (and last) build. With a four stroke engine, the crankshaft rotates twice for every power stroke, or one power stoke for every two revolutions of the crank. So, if the crankshaft is turning 2,000 RPMs, that would be 1,000 power strokes (firing of spark plugs) for each cylinder per minute. So for an 8-cyl. engine running at 2,000 RPMs, the plugs would fire 8,000 times per minute (1,000 times per plug). For a 6-cyl. engine running at 2,000 RPMs, the plugs would fire 6,000 times per minute (1,000 times per plug). And for a 4-cylinder engine running at 2,000 RPMs, the plugs would fire 4,000 times per minute (1,000 times per plug). In my case, I have a 292 inline 6-cylinder engine bored 0.040" over. 3.915" bore X 4.120" stroke = 296.13 cu. in. displacement exhausting through split HP exhaust manifolds into a 2-1/2" dual exhaust system having an H-type crossover (balance) pipe. By necessity (due to layout of piping beneath car)...... Mufflers (in this case, chambered exhaust sections) are staggered as mentioned by Craig, so that should help cancel drone a bit. I worked heavy construction for many years as a pipefitter and plumber installing piping in high rise buildings and large industrial projects, so I see these acting more or less along the same lines as air chambers fitted at the end of water supply lines to multiple fixtures (to prevent water hammer). The critical thing being placement and volume. As long as placement was correct and diameter was equal to (or greater than) piping in supply line and met (or exceeded) min. volume required to prevent water hammer...... You were good to go. For my car...... Cruise RPMs at 70 MPH with overdrive engaged will fall in the 2,000 to 2,100 RPM range depending upon final choice of tires. So bottom line...... How do I determine drone RPM range for 6-cylinder engine and best address that? Does cylinder displacement and/or exhaust system diameter enter into it, or are we looking entirely at frequency of impluses and method(s) of cancelling sound waves? I think it important to state again that I am a spreadsheet hobbyist and no expert in the realm of drone suppression systems. I just like to play with numbers. Having said that, I do attempt to understand a subject. To the best of my knowledge and available public data, drone frequencies occurred between 100 and 150 hz regardless of cylinder count. Drone in a 6 cylinder motor should occur somewhere between 2000 and 3000 rpm. Exactly where in that rpm range on a given vehicle can only be known by testing. It is important that the suppression system be designed to match the drone frequency. The system will have limited range of frequency suppression. You can not guess and still obtain maximum suppression for a individual vehicle other than by chance. Thanks, Bill! Thanks, Paul! Not so easy to teach an old dog new tricks, but you've both given me something to think about. Bill...... Your sliding trombone reference hits home for me. We never made a working model...... It was just an idea I wanted to pursue the following year at EMC...... But I was looking at ways to articulate via an internal sliding valve arrangement both intake runner length and primary header length for Dan Miller's hemi at EMC. We were discussing this priour to the 2010 contest after learning that changes to the rules for all intent and purposes mandated a change from carburettors on IR intake to EFI for 2010. The main problem as I saw it was not the adjusting of tract length to match RPMs...... I'm sure Scott could have come up with a way to control that via computer programming, as the only way to do the IR setup properly with EFI was to map an individual tune for each intake runner. The issue I was looking at various ways of solving was how to configure the internal sliding valve mechanism so as to make CSA adjustments optimal relative to tract length and do both in real time as a function of RPMs. Optimizing tract length on the fly without optimizing CSA on the fly as well seemed self-defeating. I did finally come up with a proto-type having several telescoping layers of varying wall thickness which corresponded to optimal CSA as they articulated inward and outward. Dan and I referred to it as the 'Chinese handcuff' but it was more akin to a sliding trombone within a sliding trombone within a sliding trombone if you picture it in your mind. I had hoped to have a functional working prototype actuated by a servo mechanism by 2012. But after Dan passed on, I did not pursue it further. A car’s engine under load plays a range of frequencies, but its root note—the pitch its musical chord is built on—is defined by its so-called dominant frequency. 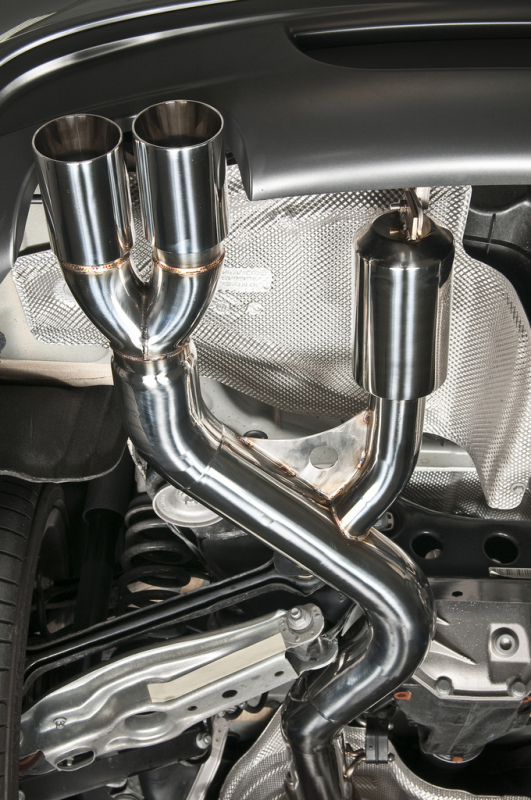 These sound-generating vibrations derive from the combustion in each cylinder and the corresponding pressure waves in the intake and exhaust systems. They are all keyed to the engine’s rotational speed; as revs rise and fall, the pitch goes up and down. Calculating that dominant frequency at any given rpm is straightforward. First, you convert engine rpm to Hertz, the frequency unit, with the following formula: 60 rpm = 1 revolution per second, or 1 Hz. Thus, a V-6 spinning at 1800 rpm can be said to be running at 30 Hz (1800/60 = 30). But because a four-stroke engine fires each cylinder only once every two crank revolutions, we’re only worried about half the engine’s cylinders. Multiply our 30-Hz value by three (the number of ignition events per crankshaft revolution for a six-cylinder engine) and you have the 90-Hz dominant frequency that defines the six-cylinder’s sound at 1800 rpm. As the engine speed increases, the firing frequency rises proportionally. In a six-cylinder, it’s also called the “third engine order” because the frequency is three times that of the engine’s rotation. In an eight-cylinder engine, the firing frequency is the fourth engine order; in a V-10, it’s the fifth. But that third-order frequency is just one component of a six-cylinder’s timbre, which is a fancy term for its distinctive sound character. Even if a flat-six generates the same dominant third-order frequency as a V-6, our Porsche and our Toyota can still sound very different. The engine’s overall timbre is a matter of thousands of variables, as the firing frequency excites additional vibrations in the structure and plumbing. Most throaty, aggressive-sounding cars have very high half orders, such as 2.5 and 3.5 times the firing frequency. These produce the growl that’s desirable in a sports car. 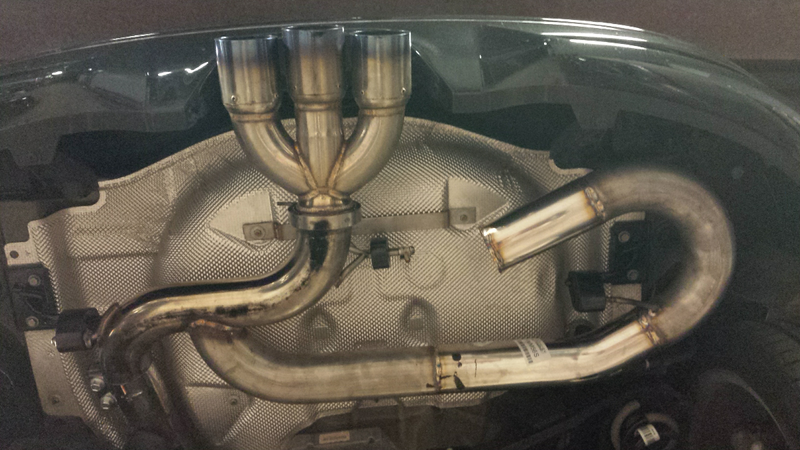 They are normally adjusted through exhaust tuning. The relative loudness of the higher orders defines these two engines’ distinct timbres. They are the pitches that build on the root note to create the engine’s distinctive chord. Which ancillary frequencies are allowed to sing and which are muted is the work of the noise, vibration, and harshness (NVH) engineer. An exhaust muffler cancels some unpleasant frequencies that ­otherwise might resonate in the cabin at a certain load and rpm. 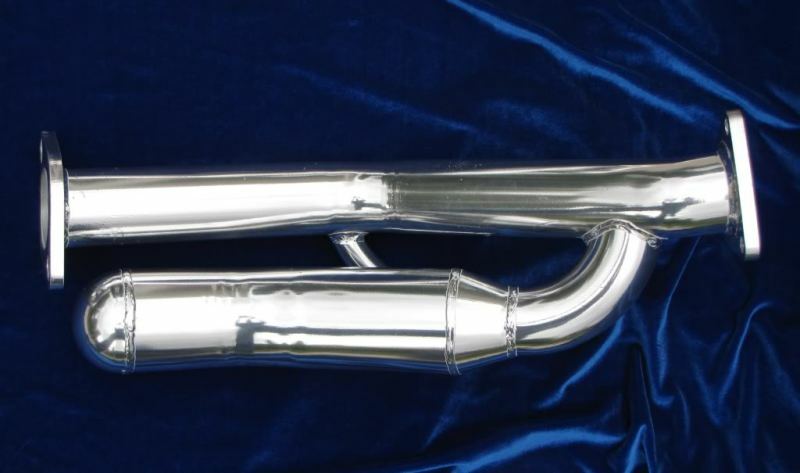 Every engine’s sound is the product of a whole orchestra of bushings, pipe diameters, and hundreds of sheetmetal pieces of varying thicknesses, as well as design factors, such as the exhaust layout, insulation, and the body shell. Now if I understand this correctly...... At 2,000 RPMs, an 8-cylinder engine (4th engine order) has a dominant frequency of 133.33 Hertz...... Whilst a 6-cylinder engine (3rd engine order) has a dominant frequency of 99.9 Hertz. So in actual practice...... How do we best apply these values when planning our exhaust system for an 8-cylinder engine? Or conversely, a 6-cylinder engine? ...... Having specific length tuned to reflect resonant amplitude back into the exhaust pipe out of phase with the dominant resonant frequency, thereby reducing amplitude (and droning). These connect to exhaust pipe at right angles or as close to 90 degrees as is practicable. My inline 6 fires fewer times per minute at 2,000 RPMs than does a V8 engine, so Hertz for 6 is lower and length of branch outlet is longer than for V8. At 2000 RPMs cruising at 70 MPH, my 6-cylinder engine fires 3 times per revolution. Will try that and see how it works.